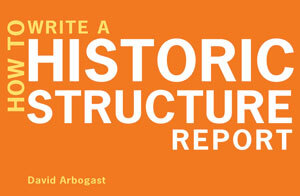 Any architect, engineer, or preservation professional renovating a historic property must be familiar with the historic structure report (HSR)—a document that evaluates all aspects of a property to minimize damage during restoration. The only book of its kind, this practical guide walks readers through the process of compiling an HSR. From gathering historical and archival data about the property to analyzing its structural, mechanical, and electrical components to assessing the state of its interior finish, including wood, masonry, and metals, this book covers all the nuts and bolts of an expertly written, informative HSR. Explaining what information should be included in each section and how investigators can work together effectively as a team to produce a comprehensive, coherent report, this handbook is one no professional should be without.